Box Top Trading Store Coming SOON! Bring in your BOX TOPS!! There will be a Trading Store on February 13 & 20. 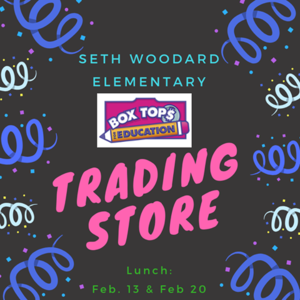 Bring in 25 Box Tops and TRADE for a PRIZE!